A must try e-juice that transforms southeast asian honeydew with soothing condense milk flavour into supreme taste. The liquid is just a bit too sweet. It also seems to destroy coils quite fast. Brought this as it was on offer at a great price. Can not taste any milk at all melon is there but there's plenty other on the market which are far better. Won't buy again will use the bottle as a backup when steeping other liquids. Not bad. 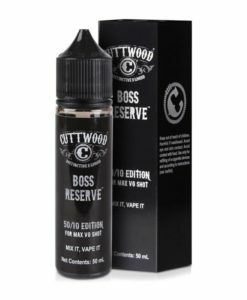 Kinda synthetic-ey, probably wouldn't buy again, but good price for some cheap backup juice that isn't disgusting! Not much milk flavour to taste, and the melon flavour is kinda plastic-ey y'kno? Meh. Vaped around 5-10ml on a dripper. Strange flavour to start with, may have been fresh cotton. Once you get into this juice it is addictive. Sweet melon flavour and then the cream on the exhale balances it out perfectly. Could easily vape this all day sitting in the garden with a few pints. Would definitely recommend. Value for money is an excellent product, I can only recommend it to everyone! Thanks!